The laRhea brand combines 50+ years of manufacturing know-how with the culture of Italian coffee and the style of Milan. as reliable in performance as in flavor. Rheavendors Group is proud to introduce the laRhea Business Line, the new standard for tabletop coffee machines. More than just an upgrade of the popular Family Feeling range, the Business Line boasts heightened performance and a sleek new design that fits into even the most elegant settings. and latte macchiato, or international styles like American coffee and café crème. 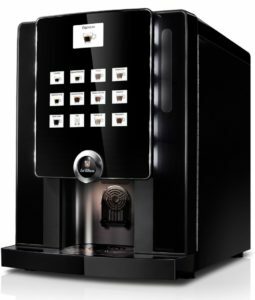 The external transparent coffee bean hopper, like an open invitation to enjoy fresh-ground coffee, makes this a truly professional-quality machine. Every model in the Business Line features touch panel, representing a significant upgrade of its ancestor, the original Family Feeling series. 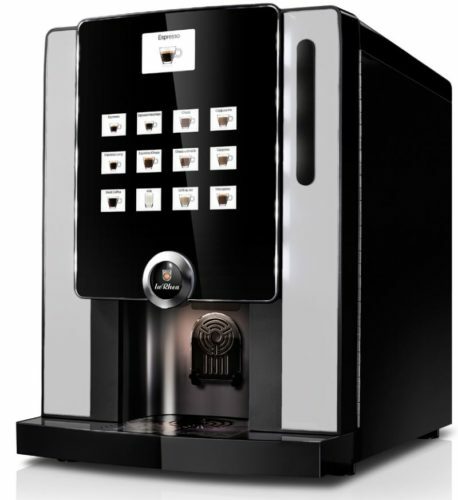 The new interface makes the machine more fun and inviting to use, and provides a ‘touch’ of contemporary elegance. The Business Line strikes a perfect aesthetic balance – beautiful to look at, easy to operate, with crisp graphics and seductive LED back lighting. user’s drink selection, thereby making the optimal use of the dose.